Onchan District Commissioners. Their keys can also be picked up from Onchan Park and Onchan Library. There is quite a range of leisure activities available on the Island and you can choose what is attractive to you, and suitable for your disability. DisabledGo has an excellent website giving detailed information on accessibility in premises located in the Isle of Man and in the UK. All locations have been assessed by trained personnel and their website is well worth checking. Be aware that not all the properties listed are particularly accessible so check out the symbols on the side for suitability for your limitations. Suggestions on finding accessible properties are included in some sections below. Hope you enjoy getting out and about! If you would like to see an activity added on our site, please use the feedback option on the home page to pass on details. For those disabled people who are interested in engaging in sports, check out the Disability Sports Directory compiled by the Sports Officer for the Disabled, Zoe Crowe, to see what is available. Zoe organises this section of sport activities, is based at the National Sports Centre and is heavily involved with the Paralympics. Zoe can be contacted on tel: 688575 or email Zoe.Crowe@gov.im. This service is provided by the Isle of Man Government via the Department of Education and Children. National Sports Centre, Douglas, provides access to all pool areas for customers with disabilities, a hoist is available to gain access to both the leisure and competition pool. Please do not hesitate to ask if you require assistance. The staff are always happy to help. Southern Swimming Pool also has disabled access and facilities. Contact tel: 823930, email southernswimmingpool@manx.net or view www.southernswimmingpool.im for more details. Western Swimming pool in Peel – Hoist available and a disabled shower room plus toilet, rails and plenty of room for a carer to assist. A concessionary price is offered for a disabled swimmer with their carer. If an extra warm pool is required investigate the Pisces Swimming Club, which specialises in teaching swimming skills to children and adults with physical disabilities, learning development and behavioural issues. Less mobile members can benefit from therapeutic sessions in the heated pool and the group have an optional fitness and Aquarobics session. Pisces Swimming Club for the Disabled which uses the Glencrutchery Pool in Douglas. Contact Tiffany Crookall on tel: 825616. Fishing – Anglers with a disability can now fish from a specially designed platform at the Cringle Reservoir. A fishing licence is required to fish in the reservoirs. To find out more, contact the Fishing Directorate of the Department of Environment, Food and Agriculture on tel: 685857. The GoDoActive leaflet gives suggestions for suitable activites to undertake. See www.godoactive.im for more ideas. The Service Users Network (SUN) offers a fortnightly social club on Tuesdays for Mental Health Service users and anyone with an interest in mental health. Ring tel: 616188 or view www.serviceusersnetwork.com or email serviceusersnetwork@manx.net. Manx Heart Support Group have a monthly meeting/speaker/walk for those with heart problems and their carers. Contact tel: 611273 for more details. Manx Deaf Society provide a social environment for members at headquarters, church services for deaf signing people, social gatherings, outings, and holidays in the UK and abroad. Contact tel: 852988 or email juliesmith@manx.net. The Southern Community Initiative (SCI) Hub Club holds a number of social activities in Thie Rosen, Port St Mary which has level access, a disabled toilet and a lift to activities held upstairs. Contact jbridle@manx.net or ring tel: 838180/427710 for more information. Autism in Mann offers the chance to get together and swap tips on coping with autism, tel 480167. Northern Carers Social Group provides support for carers of older people with dementia. They organise social events and talks for members. Tel: 686182 for more information. The Manx ASC Support Group for families and professionals working with ASC (Aspergers Syndrome condition) provide just somewhere to come and chat at Close Woirrey, Ramsey (diagonally opposite the bus station). They often have Health and Education professionals dropping in for informal chats in a relaxed environment. For more information contact Estelle on 211400. Walk and Talk is suitable for all ages and abilities. Tel: 688592 , email: enquiries@msr.dtl.gov.im or check out www.gov.im/sport for more information. Bingo at Kerroo Glass, Ramsey is open to all on Mondays 10-12 noon . Tel: 816207. Knit and Natter is based at Cooil ny Marrey, Ramsey on Fridays 10-12 noon in Approach House. All welcome. Leonard Cheshire Drop-in Centre, Main Road, Onchan – Monday to Friday 11.00 am to 3.00 pm. The drop in has eight computers, two printers and some height adjustable desks for wheelchair users, facilities for hot drinks and a disabled toilet. Circa Shopmobility provide assistance with shopping in Douglas for those whose physical mobility is impaired by providing aids such as wheelchairs and other equipment. See www.circa.org.im or tel: 613713 or email enquiries@circa.org.im. The office is located on Level 2, Chester Street car park, Market Street, Douglas, IM1 2PG. Red Cross lends out equipment eg wheelchairs in lieu of donations if your disability is temporary or you have a disabled guest coming to visit and you want to take them out, tel: 639310. Tynwald Mills Shopping Centre at St Johns has good level access, wheelchairs to borrow at the front door and a disabled toilet available. Peel Centenary Centre also offers an Art Group and the building has disabled access, see www.centenarycentre.com or tel: 843480 to speak to Norman Teare Director/Art Group). The Gaiety Theatre now has a rolling subtitles facility which is visible from a number of points in the auditorium, useful for the deaf and partially hearing impaired. Ring the Villa Marine Complex on tel: 600555 for more information about which dates this facility operates. Villa Marina & Gaiety Theatre (VillaGaiety) in conjunction with Isle of Man Government is committed to enabling all our patrons to participate in our events equally with dignity and respect. VillaGaiety would like everyone to enjoy all the services and facilities on offer and in order to further this commitment, have adopted the Essential Companion scheme. For the purposes of this policy, a person with disability is understood, as defined by the Disability Discrimination Act 2006(section 1(1), as anyone who has a physical or mental impairment, which has a substantial and long-term adverse effect on their ability to carry out normal day-to-day activities. VillaGaiety operates the Essential Companion Scheme for those who need somebody to be present, in order to assist them to readily access the theatre and its services, by the means of mobility or guidance. This is open to both individual and organisations and the correct form should be completed in each case. The Essential Companion should familiarise themselves with the layout of the venue and the location of services. They should liaise with staff if the person with a disability requires assistance, and take instructions should there be a need to evacuate the building. The Essential Companion is required to attend to the needs of the person with a disability at all times whilst on the premises. Our Essential Companion scheme allows members a complementary ticket, so that they can bring along a companion with them, at no additional cost. To join, the person with the disability, or their appointed representative, must complete and sign the application form, and return it to the address at the bottom of the Application Form. The contact details on the form should be those of the person with a disability, not of the Essential Companion. The scheme is not open to, or intended, for those who simply require a companion/ friend to assist them with transportation to and from the venue. The scheme is not offered to anyone who can cope independently in a public venue. The information that you provide us with will help to ensure that we provide the best service for you. There is a space on the form to tell us about your particular needs. For example is your mobility equipment of an unusual size or shape Is it motorised This information enables us to allocate the correct amount of space for you. All information is protected by the Data Protection Act 2002 and it will only be used for the purpose set out in this document. VillaGaiety cannot provide unlimited access for its shows and events. The allocation of complimentary places will be determined by the capacity for each event and provided on a first come, first served basis. Please note that hire shows may not wish to be part of the scheme or offer a limited number of places. All shows, promoted through VillaGaiety will offer this scheme. It is accepted that a wheelchair may be used to assist in access to and around the venue and we accept that it may be preferred for you to transfer to a theatre seat. However, if you are transferring to a theatre seat, you will need to be independently capable of leaving the venue in the event of an evacuation, without access to your wheelchair. If you are unable to fulfil this, in line with Risk Assessments, Health and Safety and the Fire Safety Officer, you will need to remain in your wheelchair and if available we will relocate you to a wheelchair position. For MNH accessibility information visit www.manxnationalheritage.im then go to Visit, click on Historic Attractions, and select a site. At the bottom of the page under Related Documents find the Access Guide as a document of a PDF to decide if a location would be suitable for your needs. Castle Rushen has ground floor access for wheelchairs. Manx Natural Healing Centre provides a drop-in situation regarding natural healing and complementary therapies. Find it at Manx Natural Healing Centre, CENTRE 21, (first right off) GREENFIELD ROAD (the road leading from TT Grandstand up to Isle of Man College), DOUGLAS. Contact tel: 673824. 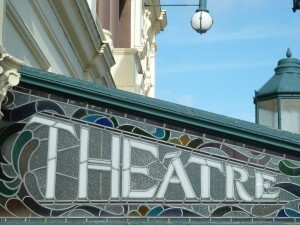 Audio loops for the hearing impaired are found at Peel Centenary Centre, Villa Marina and Gaiety Theatre, Douglas. The Erin Arts Centre in Port Erin has a Sennheiser Infrared Hearing System for people with impaired hearing. The Institute at Laxey has nearly completed building fully accessible facilities, tel:414299 or check out www.theinstitute.im. Suitable public leisure venues for visits for those in wheelchairs include Douglas Promenade, Villa Marina Complex in Douglas, Mooragh Park, St Paul’s Shopping Mall in Ramsey, Tynwald Mills Shopping Complex in St Johns, Peel Promenade including over the footbridge and round the harbour and Port Erin Promenade. If you know of more please give feedback using the feedback option on the home page or by emailing disabilitynetworks@manx.net. Leonard Cheshire Foundation Isle of Man offer Outreach Services to the physically disabled, supporting individuals in a wide range of activities to ensure that individual potential and maximum independence is achieved, tel:817071. The Isle of Man Motor Museum in Jurby is fully accessible and has a large selection of vintage bikes and other interesting vehicles. Check out www.isleofmanmotormuseum.com tel:888333 or email info@isleofmanmotormuseum.com for more information. The link below will take you to the DisabledGo site where 1200 plus Island properties have been assessed and listed. Not all are appropriate for some disabilities so read the information given carefully. Please let us know if you find/run any more suitable cafes/restaurants for these pages using the feedback tab. Many thanks! The Department of Economic Development has a list of eating places included in the Taste Isle of Man Scheme with accessibility symbols. These premises have been inspected and have qualified to be included in this quality eatery guide regarding their food, service and premises. Please note that the accessibility information has been provided by the owners and has not been graded by qualified inspectors. For more details tel: 685965. Milntown restaurant has level access, a disabled toilet, plenty of room to move around, is light and spacious with good views of the walled garden. However the acoustics are not great for the hard of hearing when the restaurant is busy. The disabled parking has a walk of about 50yds to the restaurant, tel:812321. Lakeside Centre in the Mooragh Park, Ramsey has level access, a disabled toilet, indoor and outdoor tables and a good view of the lake. Disabled Parking can be found about 40 yards away, tel: 812985. Ramsey Park Hotel has level access, and a disabled toilet on the ground floor available to anyone visiting the restaurant. The view here is of the lake and mountains. Parking close by tel: 818123. Northern Swimming Pool Cafe has level access and a disabled toilet and overlooks the harbour and mountains. Disabled parking close by, tel: 812852. Costa in Ramsey offers a small step from the Parliament Street entry, a disabled toilet and overlooks the paved Courthouse area, where you can enjoy your purchase inside or outside if desired. However beware of the floor as you enter if there has been any rain, it gets slippy, tel: 819141. The Sound Restaurant, Cregneish has level access, a disabled toilet at the side of the building, disabled parking just outside and a spectacular view over the Sound and the Calf of Man, tel: 838123. Costa in Castletown has level access and an accessible toilet. Great views over the harbour too. Costa in the Sea Terminal Douglas has level access and a disabled toilet available. Disabled parking available outside, tel: 679227, serves coffee, tea and cakes. Noa Bakehouse, Douglas has level access and a spacious disabled/family toilet. There is disabled parking in the nearby public car park, about 50 yards away, tel: 618063. This venue is now holding musical events too. Great soda bread and croissants. Davisons Ice Cream Parlour on the Villa Marina Arcade, Douglas has level access. A disabled toilet is available within the Arcade. Tables are available to sit outside, however the traffic is noisy for those who are hard of hearing. Check out https://davisons.co.im/ or tel: 665000 for more information.Disabled parking is available through the main gates of the Villa Marina or can be accessed in Chester Street car park, both about 100 yards away. The Italian Job on the Villa Marina Arcade, Douglas had level access but appear to have closed the level access door and are now using one with a small step as their main door. A disabled toilet is available within the Arcade. Disabled parking is available through the main gates of the Villa Marina or can be accessed in Chester Street car park, both about 100 yards away, tel: 676905. Cornmill Cafe, Laxey has a disabled toilet accessed from outside and has level access at the front of the building, tel: 863616. The House of Manannan offers level access and a disabled toilet for cafe users or exhibition visitors. Disabled parking is past the building in the parking area, about 60 yards. Niarbyl Bay Cafe, https://www.niarbylbaycafe.com/ has level access, a disabled toilet accessed from outside the building, (so that other visitors can access it too), disabled parking just outside and a breathtaking view of the Western coastline, tel:843300. If travelling away just seems too much trouble, the Isle of Man has a number of high quality accessible places to relax in. Choose between the serviced or self-catering sectors, whichever suits your needs best. All Island holiday accommodation is independently quality graded so you can rest assured that your chosen location does not disappoint. These properties have been independently inspected to comply with the UK National Accessibility Scheme (NAS). Alternatively check out www.visitisleofman.com then click on the Accommodation Search option, click on Accessibility Options, opt for the appropriate type, click search then scroll down to find what is available for the dates required on-Island. Motability scooters at Milntown House and Gardens are available for the less able who wish to visit. Book ahead so they are freshly charged up, tel:812321, email milntown@manx.net or view www.milntown.org. Jurby Transport Museum has level access. Isle of Man Motor Museum has level access and accessible toilets. Castle Rushen – The very nature of the best preserved medieval castle in Britain makes it tricky to improve accessibility but now the ground floor is accessible to wheelchairs. Manx National Heritage have put wireless buttons in to open glass doors. These keep in the new heating so you are warm in the shop and the ground floor rooms. There is a new and less steep ramp with good handrails through the portcullis to the inner castle. From there you will find another wheelchair ramp and handrail into the ground floor rooms. The interpretation exhibition has been refreshed and the lighting is excellent in here. There are interactive displays so that those who cannot access the remainder of the castle can explore the castle virtually, using the 3D photography utilised. This has proved very popular with youngsters. Not refreshed but available is an accessible toilet in the grounds. Costa Cafe is near to the entrance, by the harbour, and has level access and an accessible toilet.